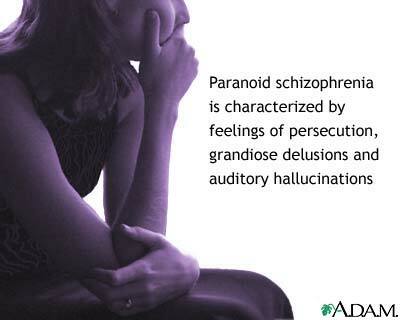 The paranoid type of schizophrenia is dominated by delusions and/or auditory hallucinations. Updated by: Fred K. Berger, MD, Addiction and Forensic Psychiatrist, Scripps Memorial Hospital, La Jolla, California. Also reviewed by David Zieve, MD, MHA, Medical Director, A.D.A.M. Health Solutions, Ebix, Inc.